Multi talented Whoopi Goldberg has become one of the most recognizable figures in the world. Working continually in films, television, stand-up, books and puditry, Goldberg seems to be everywhere. Born to a Baptist clergyman father and a nurse/teacher mother, Caryn grew up in the Chelsea-Elliot Houses in the Chelsea section of Manhattan. With the father departing, Emma raised Caryn and brother Clyde as a single mother, sending her children to Catholic school. Growing up, Caryn became a fan of Star Trek and the character iof Lieutenant Uhuru, played by Nichelle Nichols. Caryn dropped out of Washington Irving High School. 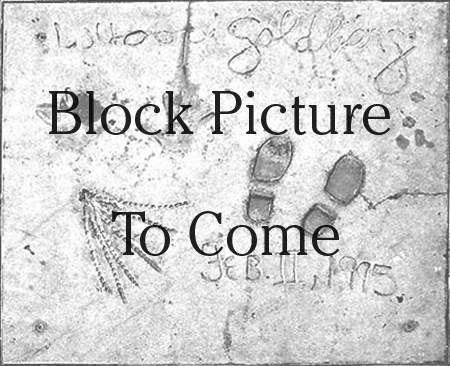 Relocating to Berkeley, California, Goldberg worked odd jobs (including being a mortuary cosmetician), and joined the Blake Street Hawkeyes theatre troupe. She spent three years working in theatre companies in East Germany. New York beckoned, with Goldberg moving there in 1981. She studied acting with Uta Hagen and appeared in an avant-garde film Citizen: I'm Not Loosing My Mind, I'm Giving It Away (kind-of released in 1983). Goldberg developed a stand-up comedy routine, performing comic riffs on different characters which would ultimately become known as The Spook Show. Director Mike Nichols helped refashion the show for Broadway, where it was called Whoopi Goldberg and ran for 156 performances at the Lyceum Theatre from October, 1984, to March, 1985. HBO taped the show and aired it as Whoopi Goldberg: Direct from Broadway in July, 1985. Legendary is the story of how Goldberg, auditioning for Steven Spielberg, did a routine where she played the director's E.T. character as a junkie in Oakland. Speilberg found it hilarious, and hired her to play the lead in his film of The Color Purple (which played the Chinese in December, 1985). The film made her a star. Naturally, producers thought to put Goldberg in comedies, but Jumpin' Jack Flash (released in October, 1986), and Fatal Beauty (released in October, 1987), were whobbly vehicles; Goldberg fell off the wagon with The Telephone (which played the Chinese in January, 1988), which was an outright bomb. 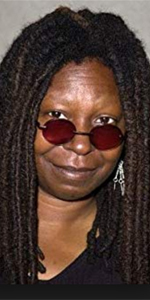 Turning to television, Goldberg was able to appear as a reoccurring character on her dream television show, playing the bartender Guinan in 28 episodes of Star Trek: The Next Generation, aired in sydication, from November, 1988 to May, 1993. She also appeared with Jean Stapleton in 15 episodes of Bagdad Café, aired over CBS, from March, 1990 to July, 1991; while these were on the air however, Goldberg received an Oscar for her supporting role in Ghost (which played the Chinese in July, 1990). She now began to both headline and to do supporting roles in films, while also guesting on just about every television show on the air— especially children's television — a very busy woman. She did the voice of Gaia for 60 episodes of Captain Planet and the Planeteers, aired over TBS, from September, 1990 to November, 1992, and co-starred with Sissy Spacek in the historical drama The Long Walk Home (released in December, 1990), and was in the ensemble cast of both Soapdish (which played the Chinese in May, 1991), and The Player (released in May, 1992). After starring in Sarafina! (released in September, 1992), Goldberg scored a huge hit with Sister Act (released in May, 1992). She hosted many big names on her sysdicated talk show The Whoopi Goldberg Show, airing in 1992 and 1993. She starred with Ted Danson in the comedy Made in America (which played the Chinese in May, 1993), and starred in Sister Act 2: Back in the Habit (released in December, 1993) which was just as successful as the first one. Goldberg did the voice of Shenzi in The Lion King (released in June, 1994), played Guinan in a cameo in the feature film Star Trek: Generations (which played the Chinese in November, 1994), and headlined in films which did well: The Associate (which played the Chinese in October, 1996), Ghosts of Mississippi (released in January, 1997), and How Stella Got Her Groove Back (released in August, 1998). She the voice for Ransome in 26 episodes of the British animated show Foxbusters, aired over ITV, from September, 1999 to December 2000, and played an RN in Girl, Interrupted (released in January, 2000). Goldberg was in another ensemble comedy Rat Race (which played the Chinese in August, 2001), and did another cameo as Guinan in Star Trek: Nemesis (played the Chinese in December, 2002). Goldberg played Harriet Tubman in the documentary Freedom: A History of Us, aired over PBS in September, 2003, then played Mavis Rae in 22 episodes of Whoopi, aired over NBC, from September, 2003 to April, 2004. In 2004, Goldberg returned to the same Broadway theatre to perform Whoopi, a 20th anniversary peroduction of her original Broadway show. She has appeared on over 1,300 episodes of The View, airing on ABC, joining the show in Janaury 2005, becoming a well-known pundit for millions. Goldberg continues to find the time to work on side projects from The View. She appeared in For Colored Girls (released in November, 2010), played Carmen Tibideaux in six episodes of Glee, aired over Fox, from May, 2012 to April, 2014, did the voice of Meg in six episodes of The Stinky & Dirty Show, streaming on Amazon from September, 2016 to August, 2018, and played Joan Ross in six episodes of Instinct, aired over CBS from March, 2018 to July, 2018. Mann's Chinese Theatre, Hollywood, California. Whoopi Goldberg Forecourt ceremony, Thursday, February 2, 1995. 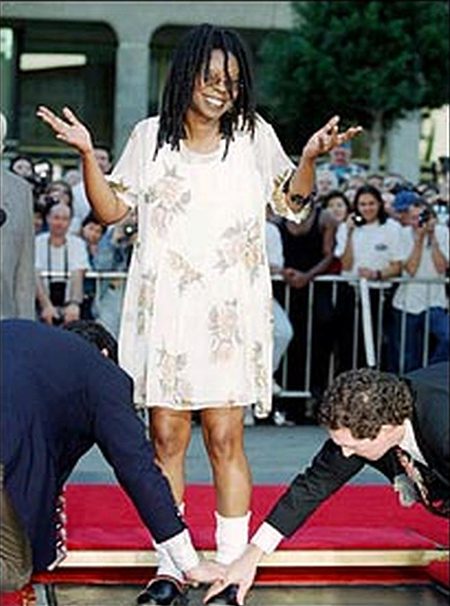 Whoopi Goldberg shows that there is nothing to it, while unidentified cement artists make sure her shoes imprint correctly.